Located on the north shore of beautiful Hebgen Lake Montana, Yellowstone Holiday RV Campground & Marina Resort has all of the ingredients to create a spectacular summer vacation. Open May 15th through the end of September, our resort includes a campground with 36 big-rig RV sites and 16 cozy cabins. Only 15 minutes from the West Entrance to Yellowstone National Park, Yellowstone Holiday is the perfect base camp to explore some of the most incredible sites in the world. 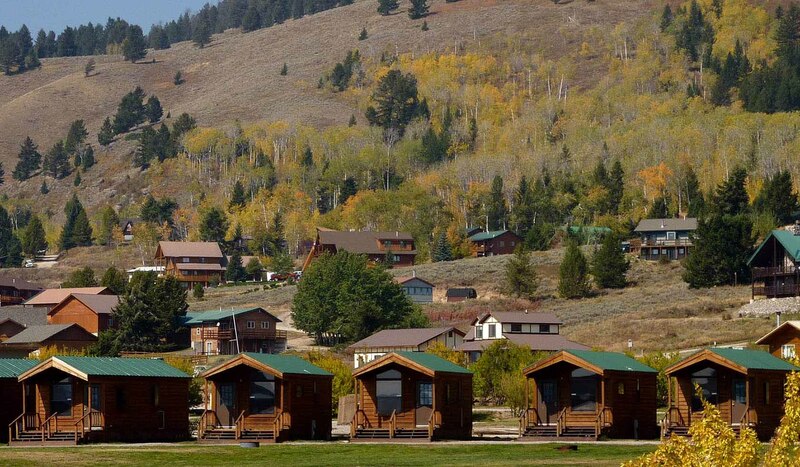 Our resort center provides a small general store, bathroom and shower facilities, laundry, and a camper kitchen. Our on-site marina provides a launch ramp, boat slips, propane and fuel. We rent fishing boats, kayaks, canoes, and stand-up paddleboards and also sell fishing licenses. Our guests enjoy a volleyball, tetherball and horseshoe area, barbecues and fire pits, a swimming beach, and shoreline fishing. We welcome you and your family to come play, and relax, in one of the most beautiful corners of the Great Outdoors.